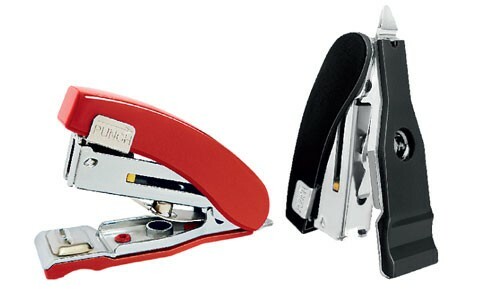 Top loading mechanism, staples are inserted into the stapler after lifting the stapler top. Ideal for executives and students. Indicate maximum insertion paper depth. The base length of depth is 19mm and breadth is 69mm.